We Offer wide range of Defence and marine products such as inflatable rescue boat, rigid inflatable boats and inflatable shelter-military application. The Gemini Craft has been developed primarily for the defense services for use at sea & in harbor. 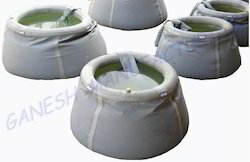 These crafts are made of impermeable, heavy duty polymer coated fabrics. It is capable of carrying out most boating activities like Diving Operations, Transportation of men & material, Search & Rescue Operations better than the rigid boats of equivalent type. A no of tents can be joined together with the help of vestibules. The Inflatable Shelter is made out of high quality rubber and PVC coated waterproof nylon fabric. Doors and windows are fitted with one layer nylon net to prevent mosquitoes and insects at night. These shelters are very simple to set off in less than 8 min’s or deflate and roll it into packed portable package. Standard accessories- 1 Foot pump, a set of repair Kit, carrying valise, nylon rope, and pegs of required sizes. This information given above is for guidance only. 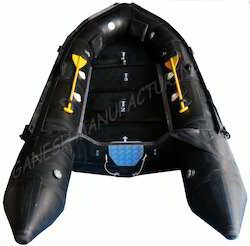 With the assistance of our experts, we have been able to manufacture a wide range of Rigid Hull Inflatable Boats. Our range has capability to hold on 6-10 persons. 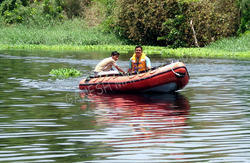 These are designed with outboard motor engine of 9.9hp upto 55 hp depending upon the size of the boat. These are available with Foot pump, oars and repair kit. * Rated Capacity :4 to 6persons 8 to 10 persons. * Standard Accessories :Foot Pump, Paddle, Repair Kit. * Weight of Boat :65 to 70kgs 180 Kg without accessories. Applications: relief, agricultural, dropping irrigation, livestock, fertilizers mixing, wells construction, public works etc. Looking for Defence And Marine Products ?